What’s the difference between a scheduled tour and a private tour? 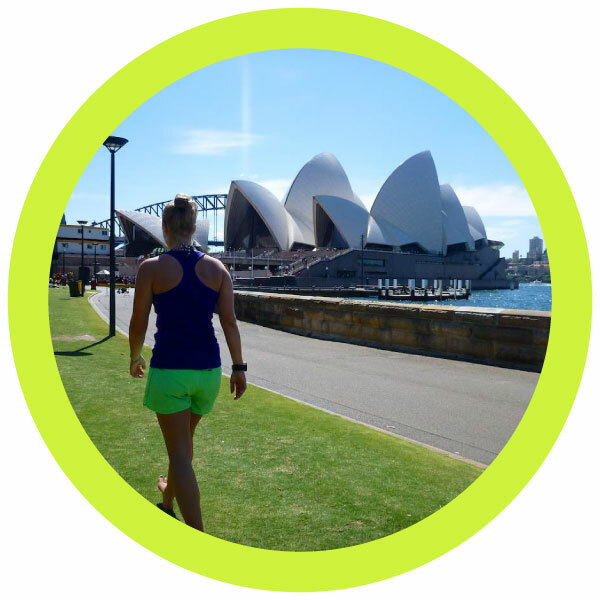 A scheduled running tour is a tour that anyone can join. It means that there are different people running with the tour everytime. It’s a great way to meet new people. You can choose from the 7km or 10km run. The route is the same every week. 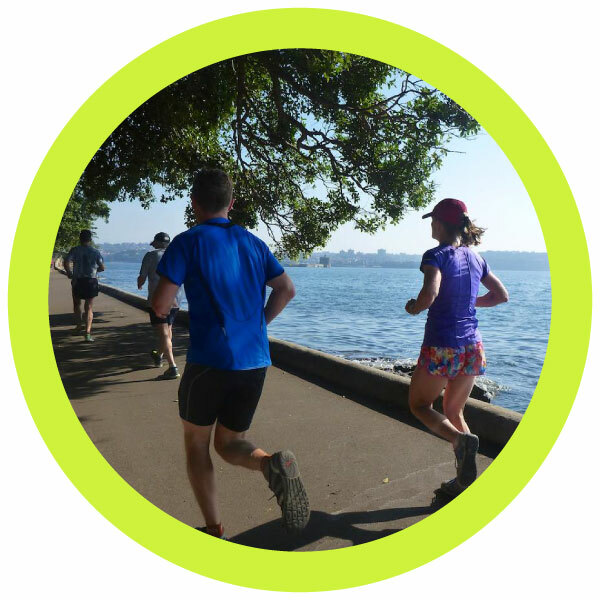 A private running tour is just you, as a single runner or with your partner, family or friends. You decide when, where and how far you run. How much does a running tour cost? Prices vary per running tour. It all depends on the tour, distance you want to run and the amount of people you book for. The more people, how lower the price. 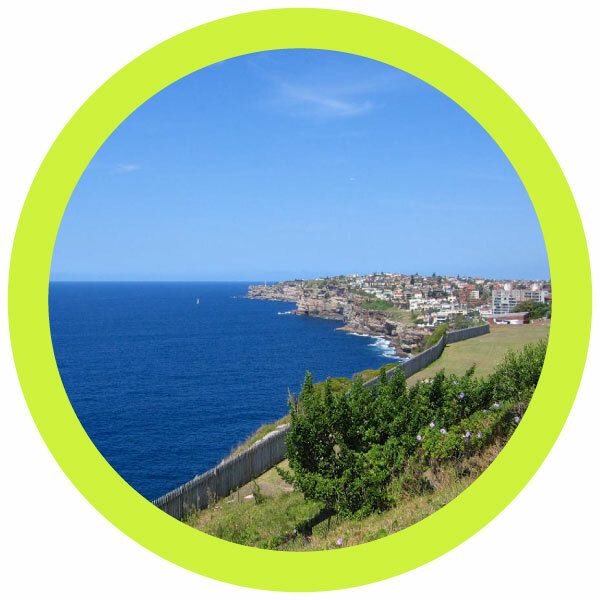 As a rough guide, scheduled runs are between $28-40 AUD, and private runs are usually between $50-95. This is for up to 10km. After that, its an extra $20 for every 5km, calculated per person. Extra km’s can be decided on the day, at the discretion of the guide (payment in cash). Distances are rounded up to the nearest 5km and there are no refunds for km’s that are not completed. For complete pricing, you can visit our book a running tour page. How far in advance do I need to book my run? The earlier the better. If you want to join us on the scheduled run, please book at least 12 hours before the run. A private run usually needs to be booked at least 48 hours before the run. The more time you give us, the better we can customize the tour for you. We do make an effort to accommodate every request. If you want to check for availability you can call +61 448 338 687 or email to info@udu.com.au. You don’t sign a physical waiver on sight. However, you must agree to all the terms and conditions when you book your running tour. 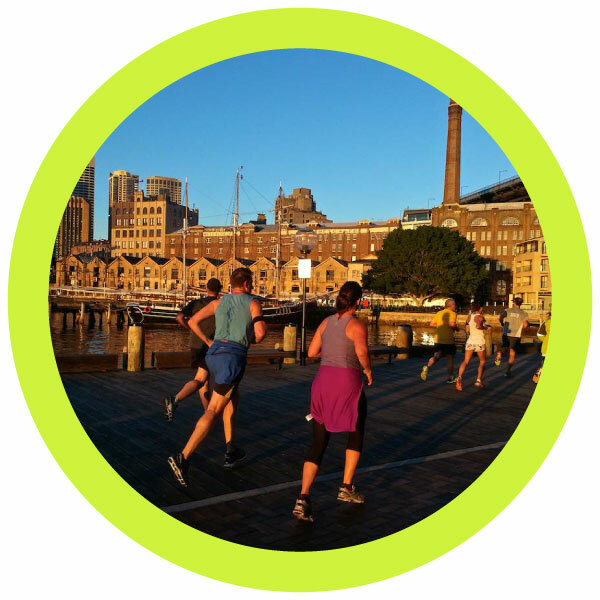 If you are joining us on our scheduled morning run, we will meet you before 7am by the large Metal Anchor to the left of Town Hall Steps, 483 George St, Sydney. If you book a private tour your guide will meet you either at your hotel or at a meeting location, at the time and date you arranged. 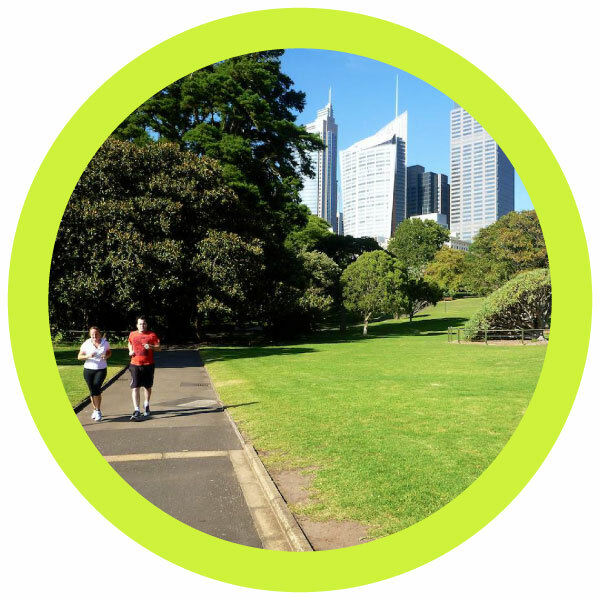 Our running map of Sydney will help you decide where the best meeting point is, based on what you would like to see on your run. Camera/phone to take photos of the sights. Your tour guide will bring a camera to take photos that you can keep in the end. Your running guide will have a small hip-bag and can carry your keys, cards and small valuables only. Please note that your guide cannot be held responsible for any loss or damage to your items. For most of our runs, there are water fountains along the way, so you usually don’t need a water bottle. However, this is up to you, and for hot days and longer runs we recommend that you bring water. If you do bring a bottle, you usually will be able to refill it during the run. For longer private runs, your guide can bring a hydration system. On long runs, you’ll be happy your guide carries water! Is there a place I can leave a bag while we run? No, we advise that you bring only what you can run with. If you’d like to leave a bag somewhere, you will need to organise this yourself. There is luggage storage at world square that costs $11 per bag for the day. Not on the scheduled run. Bringing your pet can be a hindrance to other runners. Also, some of the areas that we run in do not allow pets. Can I bring my jogging stroller? Not on the scheduled run. The route that we run can involve stairs and rough roads. This makes it unsafe and impractical for strollers. 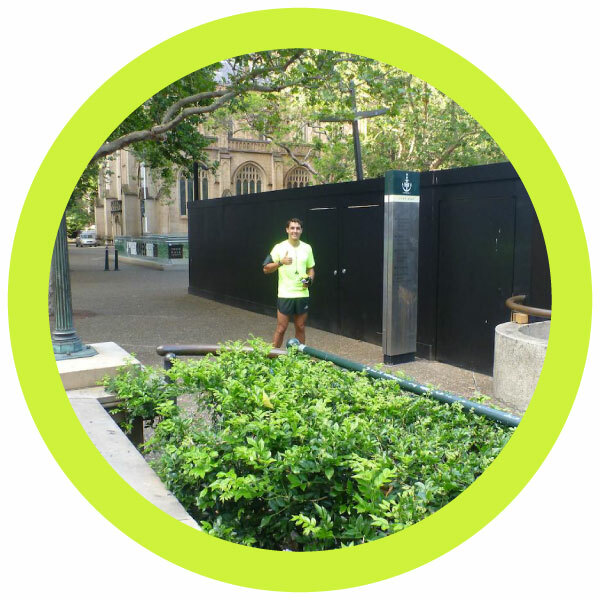 However, for private running tours we know running routes that are suitable. For the scheduled runs, children 10 years and over are welcome at the same price as an adult. However, they must be able to complete the run and must be accompanied by an adult. No, there is no shower. However, most people finish at their hotel. 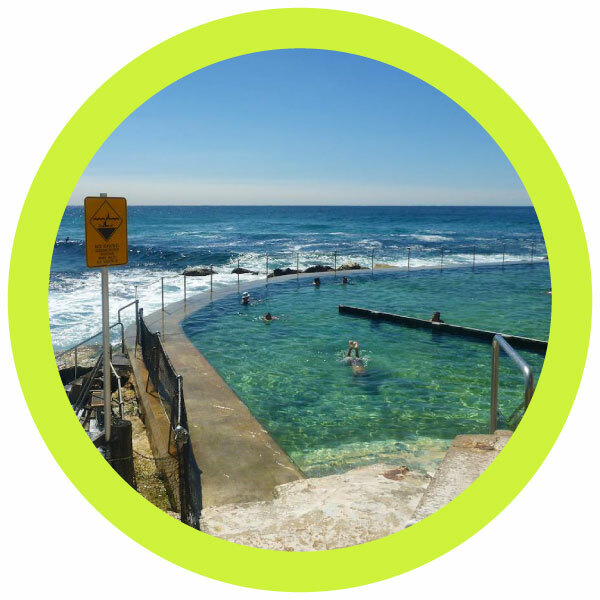 Alternatively, on private runs we can finish with a swim at the beach, or for city runs you can stop at the beautiful Andrew (Boy) Charlton Pool (after about 8km on the scheduled run). 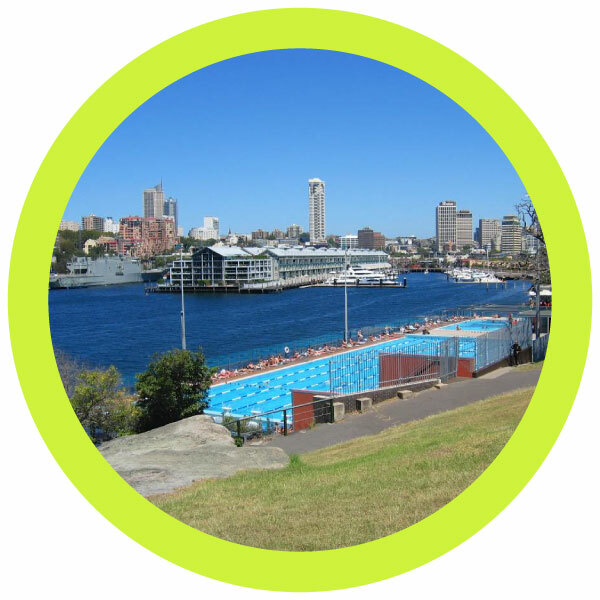 At the end of your run… go for a swim! The scheduled run is 7-10 km (the price is the same) with an option to extend to 20km. There are three sections where you can do a short walk instead of running (for a total of 7km), and for those who keep running it’s 10km. It will take us approx. 60-90 minutes for these 7-10km options, and they finish back at the starting point (Town Hall). 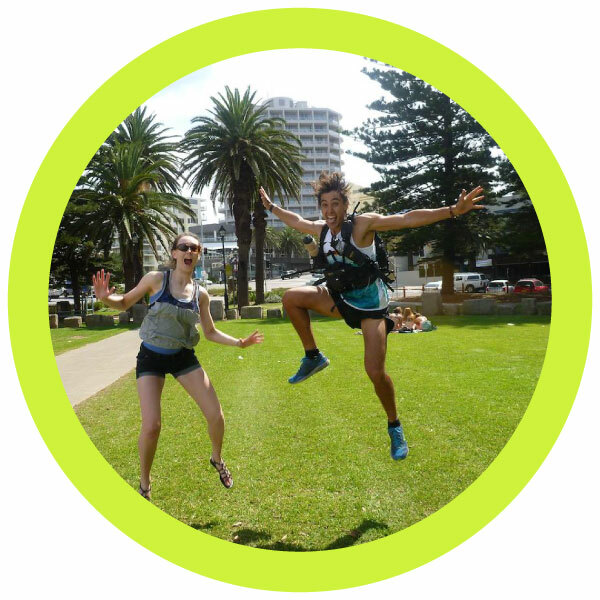 Those doing the longer option can then run to Centennial Park where they can run train further (usually making a total of 20km), before being directed how to return unguided to their hotel. For a Private Tour, it all depends on how far you want to run and what you want to see. What is the running pace? On a scheduled tour, when we are running it’s usually at a gentle 6 min/km pace (10 min/mile), however we often stop at the sights and there are sections that can be walked. It depends as well on the group on the day, and after the first 10km if you decide to keep running then we usually speed up the pace. For private tours its up to you. Your guide will have a GPS tracking system, and can help you to achieve your goal pace. I’m not a strong runner, what if I can’t keep up? 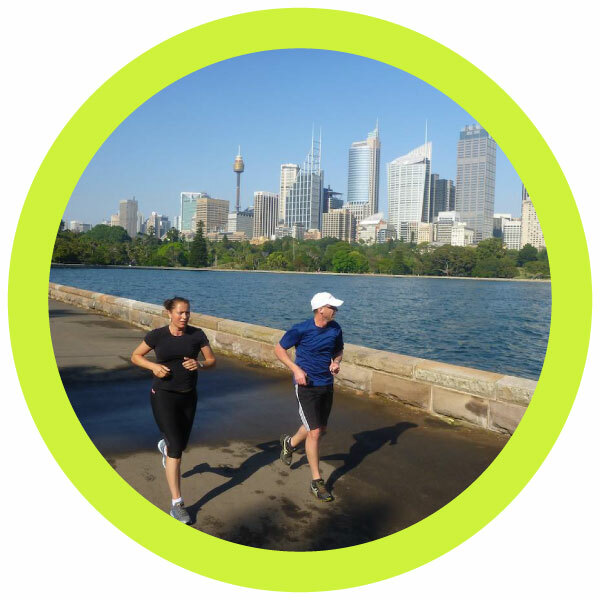 Sight Running Tours is the perfect run for everyone. We will tailor the running pace to each group. Trust us, we will never run off on you. We will have a couple of breaks where you can take photos, drink something or catch your breath. Having said that, it is also “challenge by choice”, and you are welcome to stop at any time. On a scheduled tour, your guide will have to stay with the group, but will assist you with directions back to your hotel. Do we stop along the way? Yes, we usually stop briefly at scenic points and water fountains on the scheduled tour. For the private tour, it’s up to you. Stop for a photo to send back home! We recommend using the bathroom before you run. There will be bathrooms near your meeting point. Train stations, hotels or restaurants often let you use them. If you need to go during a run, just inform your guide so that he/she can point you the nearest toilet. Please advise us beforehand of any injuries or health conditions you have. Your guide is first aid trained and will carry a phone, so an ambulance can be called if required. Can I join the tour if I am a walker? Not on our scheduled tour. We tailor the run to the pace of the group, but it will be a running pace. If you want to do a private power walking tour, we can arrange that for you. What if the run is too slow? If you find the pace too slow, no worries. We have a couple of tricks up our sleeve, and you can always do a longer run. The group sizes varies per run. On our scheduled runs, anyone can join, but we make sure that the group will not be bigger than 12 people. The size of the the private tour depends on you. We are happy to run with just one person. Alternatively, you can book as many people as you like, we will put on more guides in order to accommodate your group. What if I’m running late and miss the tour? We ask you to arrive 5-10 mins before the tour begins. If you are running late, please text or call your guide. We will try to wait for you, but we are not able to postpone the tour more than a few minutes. However, you may be able to meet us at a later point in the tour. Please note that we do not refund late arrivals. 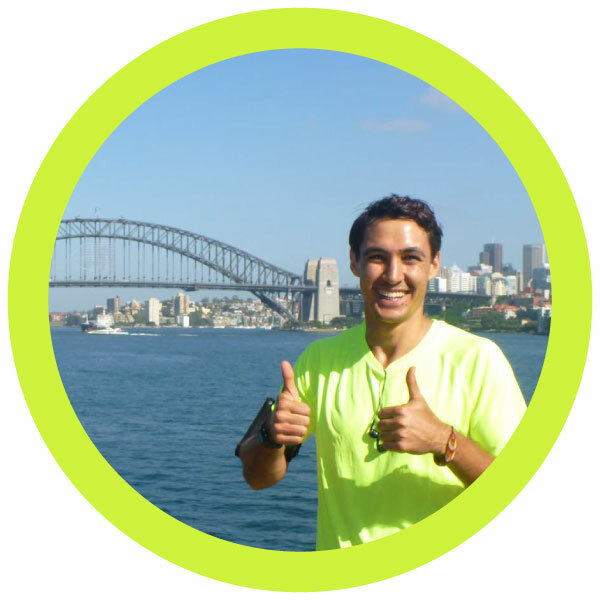 What’s the climate like for running in Sydney? 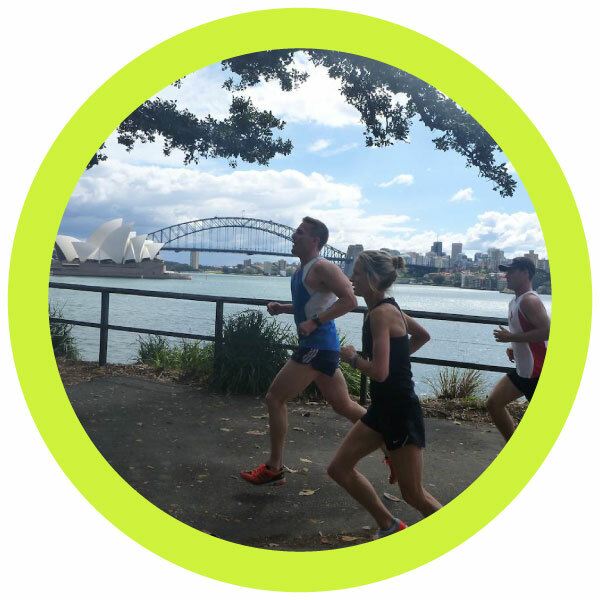 Sydney is blessed by a temperate climate, which suits running all year round. It can get cooler during winter, with temperatures ranging between 8-18 °C. During summer, it can get quite hot, with average temperatures going from 7-26 °C. We usually run in all weather conditions, the worst being cold and wet days in Winter. We ask that you dress accordingly. We do not offer refunds due to weather. We will happily change the date of a booking up to 48 hours before the tour departs. Within 48hrs, changes cannot be made and cancellation fees will apply. Unless we are unable to deliver what you book, usually we do not offer refunds. Please visit our terms and conditions for details. Do you run all year round? Yes we do, except for public holidays. I’m from Sydney. Will I get anything from your tour? Sydney is full of hidden places and secrets. Even if you are a local, we can still show and teach you things about your city that you did not know. It’s also a good way to meet other runners, or get advice on your running form. I want to see more sights outside of Sydney. Can you recommend a tour? 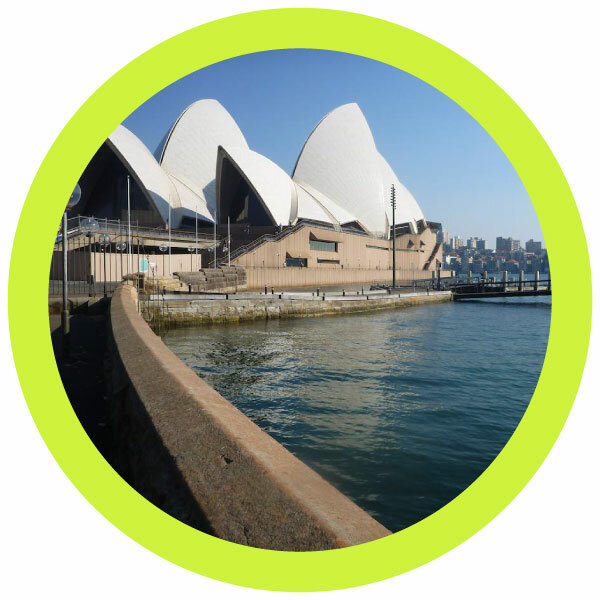 Yes, Sydney Running Tours was started by UDU, which specialises in a range of private charters, including day tours from Sydney to the Royal National Park, Blue Mountains, Hunter Valley and Port Stephens. As well as photography based events and Moonwalks (overnight adventure on the full moon). Yes we do, and they make great gifts for your running friends. When you book a running tour, you will have the option to “Buy as gift”.